Spend any time in digital nomad spaces on the internet, and you will encounter an ongoing debate about the value of co-working. Like most “discussions” on the interwebs, it’s characterized by extremes—people for and against being dismissive about opposing views. Like most digital nomads—the ones who don’t figure prominently in the debate—I’m omnivorous. I’ve worked from co-working and co-living spaces, but also from hostels, short-term rental “home offices,” hipster cafés, airports, hotel breakfast rooms, public libraries, and many, many Starbucks all around the world. And like all good Canadians, I see the value of the argument from all sides. But as my second stay at Sun and Co. co-living community came to an end, it seemed like a good time to weigh in on the so-called debate. I had a real home office once. I loved it—it was a dedicated room, with soothing décor, AC, a large display screen, and lots of office supplies and shelves of books and papers. I loved waking up, making a cup of tea, and settling into work behind a closed door. I was very productive in that home office. I could walk away and come back at my leisure and cut myself off from my messy house, the television, and my roommate’s daily activity. That office is long gone, but when I settle into long-stay accommodation, I try to set up some sort of office space using whatever table and chair situation available to me—I mount my computer to eye-level, attach my peripheries and arrange everything just so. It’s not quite as good as my original home office, but there is the pleasure of having a dedicated space where my computer lives and my work happens. Wake up, make a cup of tea, sit down to work. This approach takes some effort when researching your accommodation, although, some places have caught on to the digital nomad game and listing work space as an amenity is becoming more common. Unfortunately, what seems to be a good space in photos may not deliver. *Many short-term landlords assume guests will be out touring all day; nomads who spend all day every day in the accommodation use far more energy and this could lead to conflict in inclusive rent situations. Delicious drinks and snacks, background noise to help you zone out, charming ambience, and hipster playlist. This is why nomads who frequent cafés like them. That’s what I love about them too. I wrote much of this post in a few charming cafés in the hip ‘hood of El Poblado, Medellín, Colombia. 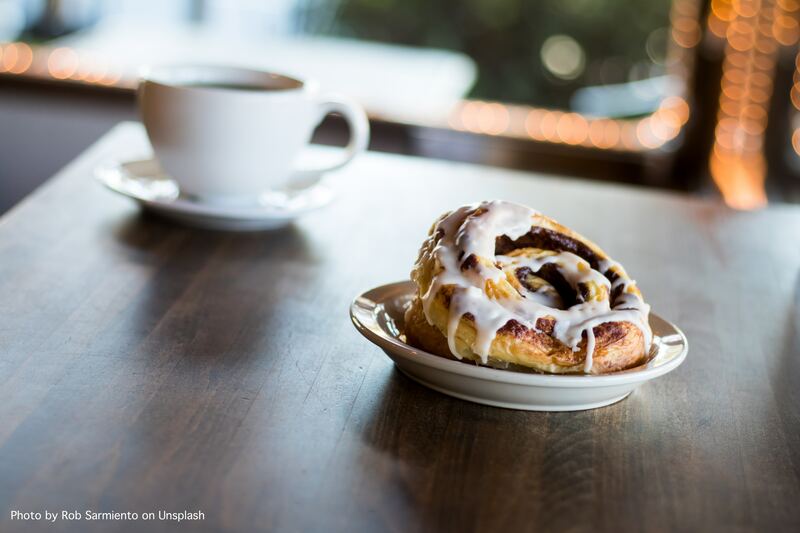 Cafés are also a great way to explore a destination and, when you choose locally-owned cafés that cater to locals (instead of Starbucks), you get to experience a little bit of local colour. But, cafés don’t always work for me. Much of my work requires a deep dive that just doesn’t work in cafés. It’s hard to take breaks at a café—at “home” I get up, do a little task, even walk around the block, clean the kitchen, put in a load of laundry, or take a power nap, to get me through a 6 hour stint on a project. 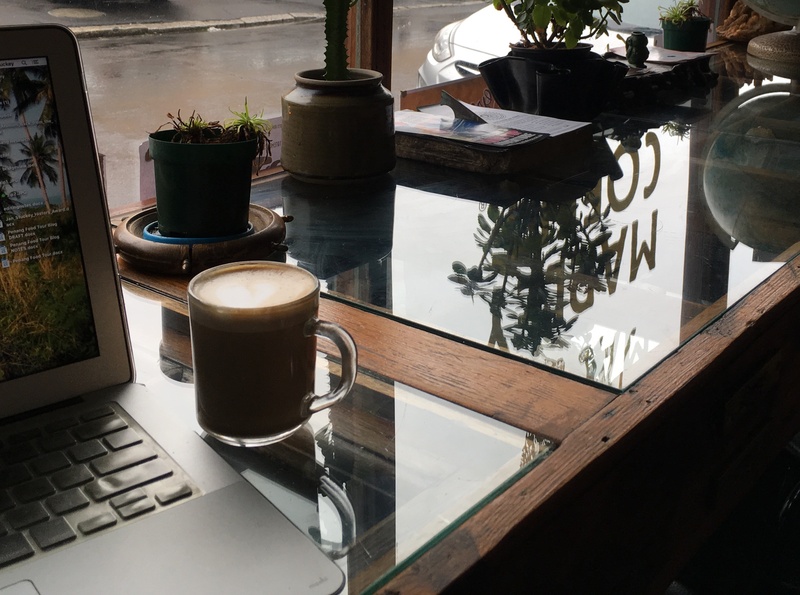 For me, cafés are best for a 2 to 3 hour stretch—and the café vibe is usually best for a writing task, rather than editing with multiple files and several windows open at the same time (see my post on screen real estate). I also take issue with all-day café working. Many café owners are fighting against the digital nomad movement because some nomads make terrible customers. They come, they order, they linger, which limits potential earning for the café. The laptop brigade also creates a silent, non-social atmosphere which isn’t what many café owners are going for. And some inconsiderate, entitled nomads ignore the social contract by setting up laptop stands and multiple computers and even portable displays, ordering a small coffee and sitting for hours enjoying the free wi-fi. I love some co-working spaces. They have so many benefits—proper workspace, the ability to set up for the day, climate control, and even printers and copiers. Their number one benefit is good Wi-Fi—often the key selling point in places with sketchier connections. Many co-working spaces offer free coffee and tea and kitchen facilities and they tend to have a quiet, pro-work atmosphere. Some of my most productive time as a nomad has been at Punspace, the major co-working space in Chiang Mai. * Setting up your gear at a proper desk with the proper office chair in a work-focused environment can be well worth the cost, even at the day pass or weekly-pass level. And getting into a workplace routine is also efficient, allowing you to get right into work and stay in the zone. Co-working spaces can offer quality workspaces with room to spread out, proper office chair, amenities like free tea and coffee, and a work-like atmosphere. And if you are an early riser, you may even them the space to yourself! @ Punspace Tha Pae, Chiang Mai, Thailand. There are two key drawbacks to co-working for me—the price and the levels of membership. Weekly or set number of hour passes may not be available at co-working spaces that cater to locals, and a month pass it may be more than you need. Day passes, if they are available, can be cost-prohibitive, especially in more expensive countries. In the short-term, if there are good alternative workspaces in a destination, the cost of co-working doesn’t always make sense. But one thing that is great about co-working spaces is that they often have a free trial day pass (pre-registration usually required)—so if you start with a free day and then return on a day pass, the averaged cost over two days becomes a better bargain for a 2-day stretch of productivity. Co-working spaces also usually have a “skype” room for taking calls. *Punspace Nimman tends to be a hotbox of tech-bros knocking elbows like sardines in a can. I prefer the Tha Pae and Wiang Kaew locations in the Old City because they are roomy and quiet—a Punspace membership includes all access to all three locations. **Not all co-working spaces are created equal. If a co-working space offers a free trial day, use it before you commit to the cost of a week or month. The work environment should be good, but you never know. It may be too hot, too crowded, too loud, too smoky, too obnoxious. Be sure before you commit. A co-living space or community provides both co-working space and accommodation. These places operate on many different models. Some co-living communities are hostels or old guest houses and hotels that have converted common spaces into workspaces. Some co-working spaces have started providing accommodation nearby, with members all staying in the same hotel or apartment building or shared house. Co-livings offer some of the benefits of a home office, with the added value of a social community, which can be hard to come by as a digital nomad. In a co-living community you live and work among others living a similar lifestyle. Some co-livings simply make workspace an amenity of their accommodation and guests come and go like backpackers in hostels—these usually have open booking, like any other hotel or hostel. But some co-livings are very community-oriented and offer many social and professional benefits. Booking usually requires some communication with the community manager, and may even have some prerequisites or perhaps even applications. One great benefit of a more community-oriented co-living is that activities are often scheduled—tours, boat trips, hikes, day trips etc. and the community manager can offer some great local info. All things begin equal, I tend to choose a home office—for the convenience and the cost factor. I like to roll out of bed early in the morning and get to work. But as a nomad, the potential for a home office is never equal—I always find something lacking in a “home” office space. That’s why I love the idea of a co-living, as it’s the next best thing to a home office. Of course, the drawbacks of co-living mean it’s not a full time option for me. A conveniently located and well-appointed co-working space has many benefits, including many of the pluses of co-living, but you get to live in your personal space. So, then, why am I paying for and commuting to a co-working when I can just take my morning coffee at the local co-working-friendly café? Well, after a few hours, a café loses its lustre, so I’m back to work at “home” for the rest of the day. Clearly, all four options work for me in different circumstances. Your mileage may vary because mine certainly does. I would never choose one option exclusively. And I don’t have to—that is one of the best parts of being a digital nomad. I choose my own adventure. 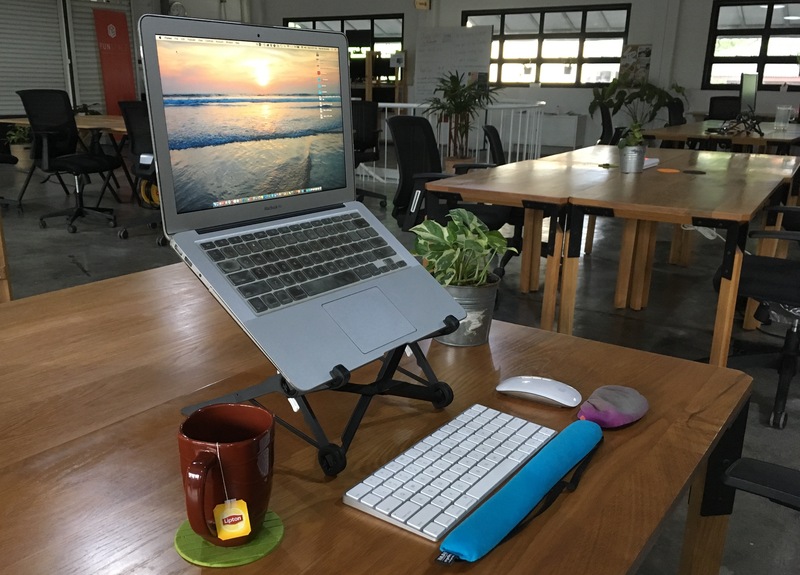 Learn more about what to look for in a digital nomad work space in my book Freelancing on the Road: A Digital Nomad Guide for Editors. I’ve written before about the on-going nomad debate: Co-working or “Café Bureau.” In a post on Remoters.net, I compared the price tag of working in a coworking space versus a café in 5 popular digital nomad destinations. From the perspective of value, the options are fairly equal in some parts of the world, and in others there’s a clear winner. Coworking spaces have fees that can seem high, but if you’re going to sit all day in a café and you aren’t an entitled jerk, you must spend money. Upstanding nomads will argue that you are obligated to make a purchase every few hours. This may mean moving from one café to another, but if you put in a 4- to 8-hour day, you’re looking at more than one or two items. However, a true analysis of this debate must consider all parts of the cost-benefits equation; your well-being is affected by more than the amount of cash in your pocket. So, I’m probably the worst travel blogger in bloggerdom. I’ve been writing in this blog for 6 years, but months and months pass by without a peep. And yet, that’s usually a good sign—it means I’m keeping busy; it does not mean I’m not writing. Digital nomad is a term that seems to have come out of nowhere, even to me, and I am a digital nomad. The digital revolution, which has changed almost every aspect of our lives in a rather short time, has changed the way we travel and the way we work. At its most basic, digital nomadism is the marriage of digital work and travel. And thanks to the information side of the digital revolution, there is a wealth of resources available (as well as package deals and other schemes) to help you get your very own #digitalnomadlife. So, I wrote a book. And I don’t mean one of the dozens of books I write for hire. Nope, I actually cooked up the idea and wrote it for myself.